I have had some experience with pharmaceutical sales, and one of the questions asked by doctors about a drug is whether or not it loses efficacy over time. In other words, does the medication work well at first, but over time loses its effect on the condition that is being treated? What I want to talk about is something that definitely does not lose efficacy over time. In fact, it is still the most powerful cure in the universe. 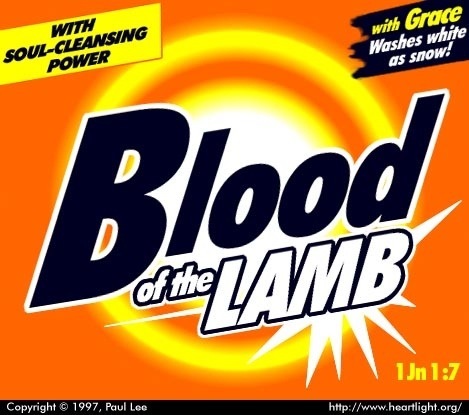 It is the blood of Jesus! The blood is something precious. Its value is far above that of silver or gold. This blood is the cure for the most deadly disease in existence. It is used to bring spiritually dead people back to life! You may wonder if we baptize dead people. I would say that, yes, we do. Every one of them starts of spiritually dead. They are then made alive by the blood of Christ! Our sin had separated us from a holy God. We were without hope of curing ourselves, and were completely alienated from God. But the blood of Christ changed all of that! There was a song written by Andrae Crouch many years ago ago the blood of Jesus, that said that the blood would never lose its power. Even though it was shed for us nearly 2000 years ago, it is just as potent as ever. It will save the worst sinner today the same way it would save one back then. The words of the chorus say, “it reaches to the highest mountain“. Even when we are on the mountaintop and have intimate communion with God, we still are only there because of the blood that was shed for us back at Calvary. Then it continues with “and it flows to the lowest valley“. No matter how far we have wandered in sin; no matter how far into the depths of wickedness our life has plunged, the blood of Jesus will still reach us right where we are if we will only appropriate it.